The mighty jungle king, crashing through the forest with his thunderous charge. This was drawn for the OzComics weekly drawing challenge on Facebook. 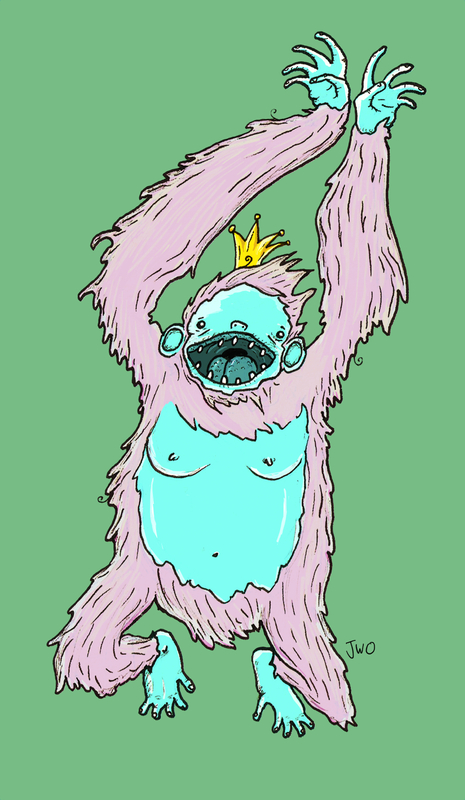 This entry was posted in OzComics Drawing Challenge and tagged Andy Serkis, ape, Bubblegum, Candy, cute, Gorilla, Jungle, King, King Kong, Kong, OzComics, Peter Jackson, Pink, Sweet, Weta Studios. Bookmark the permalink.